Exploration, adventure, hardship, success – these are words that are interchangeable with the “taming” of the American West. They are also words that exemplify one of the lesser known, but greatest of “pioneer” industries that contributed significantly to forging and defining Colorado’s wild frontier. 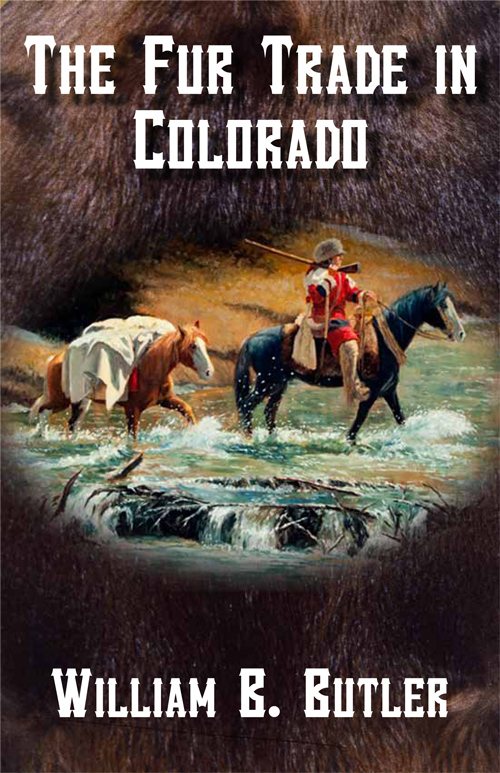 In this one-of-a-kind work, author William Butler, presents as much information as he could find about the fur trade in Colorado and provides readers a better-than-glimpse into a true precursor of our uniquely “western” way-of-life. Although information on Colorado trapping and trading is limited, Butler’s extensive research has melded scattered pieces into one solid source. This book also geographically organizes known and rumored Colorado trading posts, from Bent’s Fort to small previously hinted-at cabins, literally mapping the trade and its colorful and sometimes convoluted past. Adding depth to his fur trade picture, Butler includes material on the catching and skinning of animals, the preparation of skins, and the making of felt hats. This book provides a vivid look into the life of the trapper and trader, the dangers they faced, and the fortunes that a few lucky ones were able to amass. Butler also uses his role as an archeologist to present the generally never before seen floor plans of many of the posts and unknown drawings that are just now coming to light. Attention has also been given to the five of twenty-four trading posts that have been reconstructed. Rendezvous in Colorado are also covered, as well as shipping methods used to get the furs to various markets. This was a special life, at a notable time, in a special place, and The Fur Trade of Colorado will take you there. Whether you are a professional historian, avid reader, or just a person who loves a truly exciting book, plop down in your favorite reading chair and enjoy!